A simple tutorial on how to apply frosted window film for privacy, a new look or both! 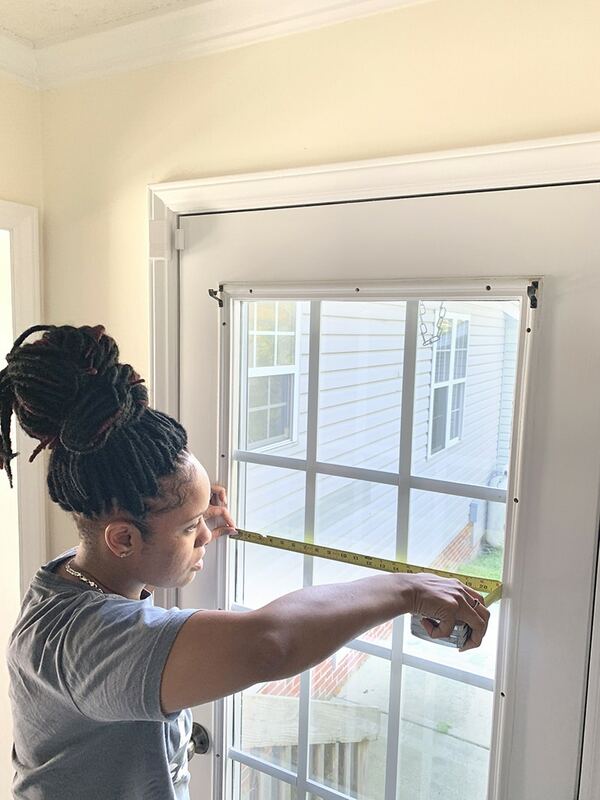 Window film is an affordable option to change the look of your window glass, increase privacy, or even help decrease the likelihood that your window glass shatters. Looking to filter in light but maintain in-house privacy? 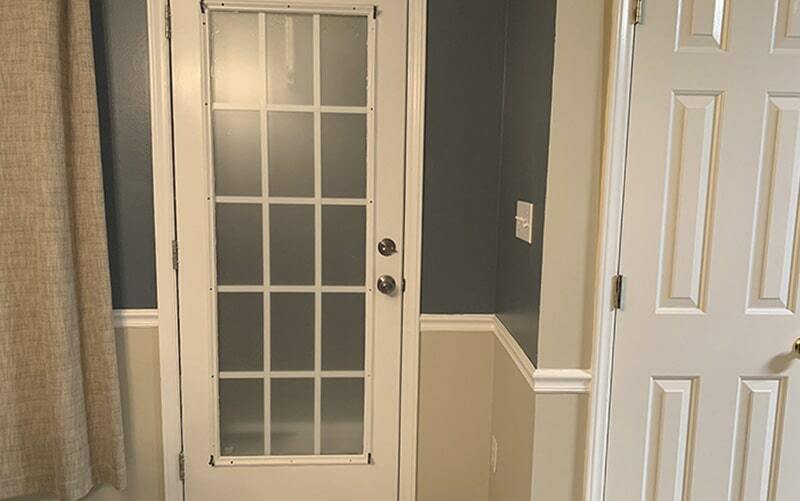 Today I am going to show you how I did that with the installation of frosted window film on two of my entry doors. You know how when you first move in a home you forget about little things you’ll need, like window coverings? Our home has two doors on the front side of the house which I love. The one has no windows, the other is all windows. Two separate extremes. 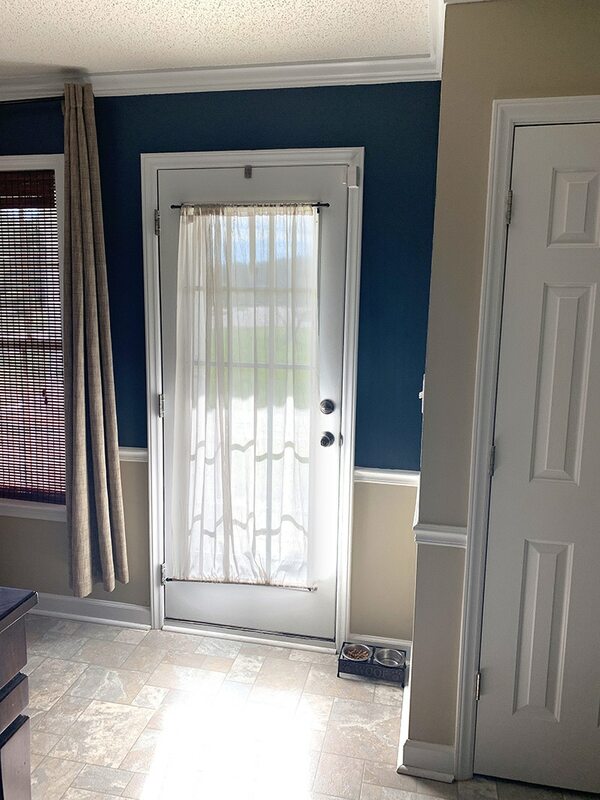 For the front door, I want to install a half window door to let in more light into the living room. 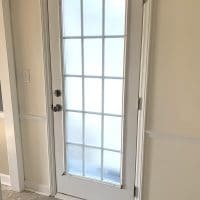 But the kitchen door, which is also on the side front of the house, and the back door, I am looking to filter the light in without everyone still being able to see straight through the house. For the last two years, we have had a window shear that I installed up to the windowed doors. But it is not as aesthetically pleasing as I would like. It serves the purpose of allowing privacy. But it can be annoying when the rod comes unhinged and moves when the door is opened and closed. So I have decided to install frosted window film to maintain privacy and give good aesthetic vibes. But still, allow that beautiful natural light to come on in. What Is The Purpose Of Window Film? There are different types of window film. You can use window film to enhance your window or doors in some way. Be it privacy, design, reduce UV rays or a combination of all three. 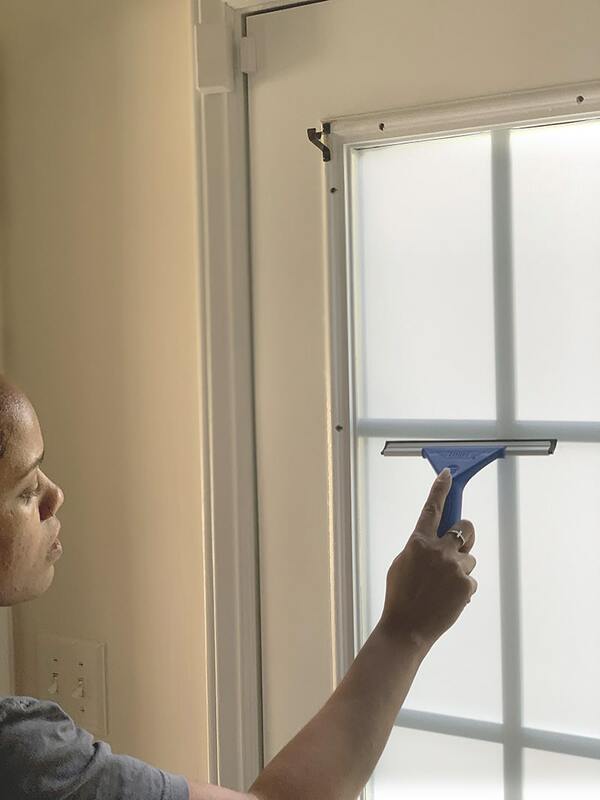 Are There Different Types Of Window Film? Mirror. A reflective film that helps increase privacy. But can be seen through when dark and light is on the inside in most cases. Art. A decor film that creates privacy with some sort of pattern or artwork. Still allows light in, in most cases. Frosted. A transparent film that allows light in, but keeps the glass private even when a light is on the inside. Tinted. A tinted film that makes windows more private in the daytime, but subject to decreased privacy when a light is on, similarly to mirror film. I started by measuring the window to see what size I needed my film to be. Then roll out the film and measure the film and mark it to prepare for cutting. Using a box cutter, I cut the window film to the size I needed. I placed a piece of scrap I found in my garage under it for cutting. I mixed up a solution of soap and water in a spray bottle. First I cleaned the glass with it. And then saturated the glass with it for the application. 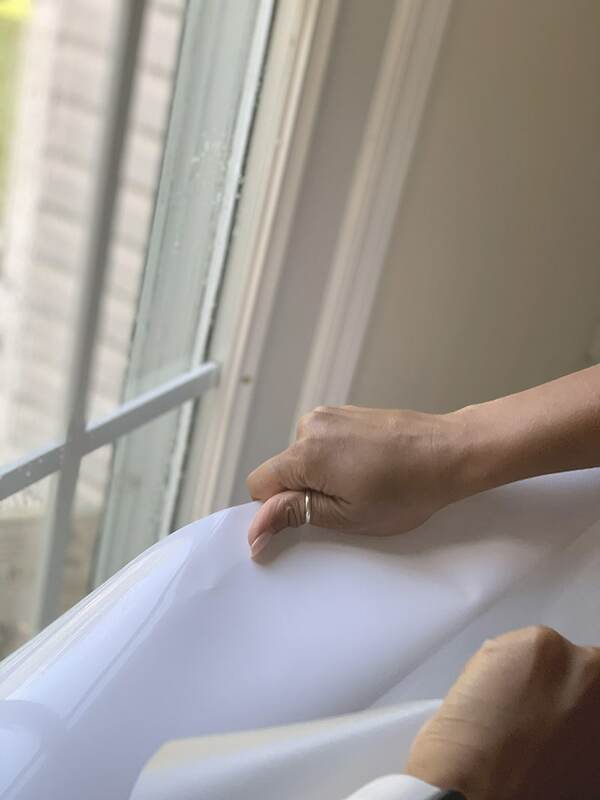 Peel the paper backing apart from the film and apply the window film to the glass. 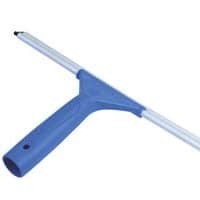 Use a squeegee or straight edge of a sturdy object like a credit card to remove air bubbles. I worked from top to bottom. Some people recommend working from the middle out to the edges of the glass. Do what works for you. 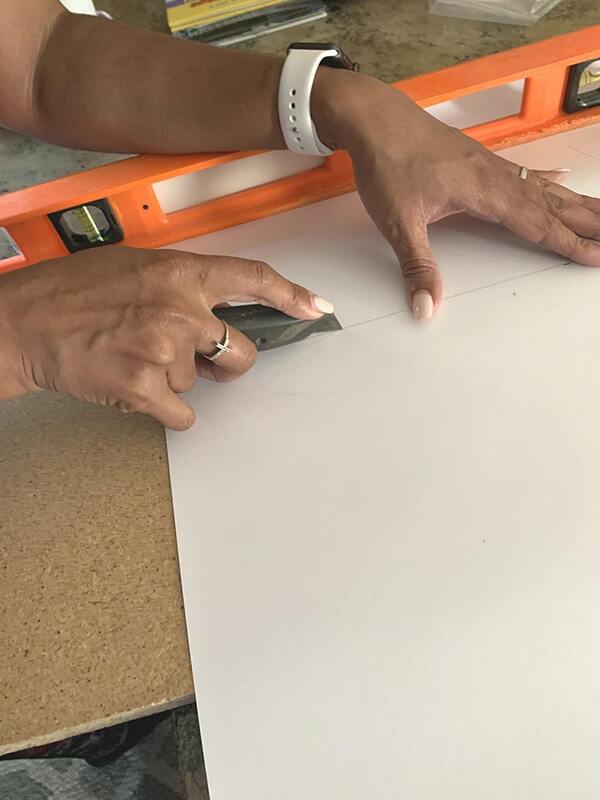 And then you can trim any excess if needed using the box cutter. 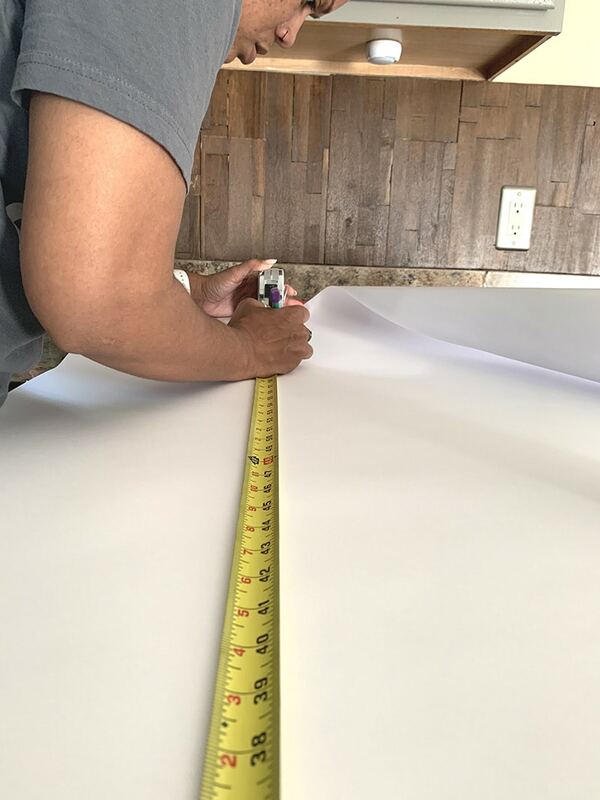 Cut window film to the size needed. Mix up a solution of soap and water in a spray bottle. 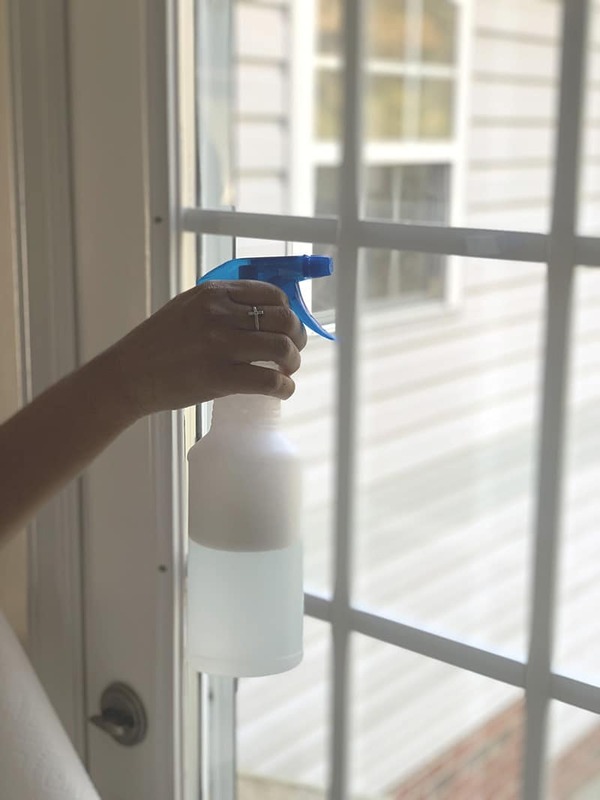 Spray the mixture on the door or window glass. Apply the window film to the glass. 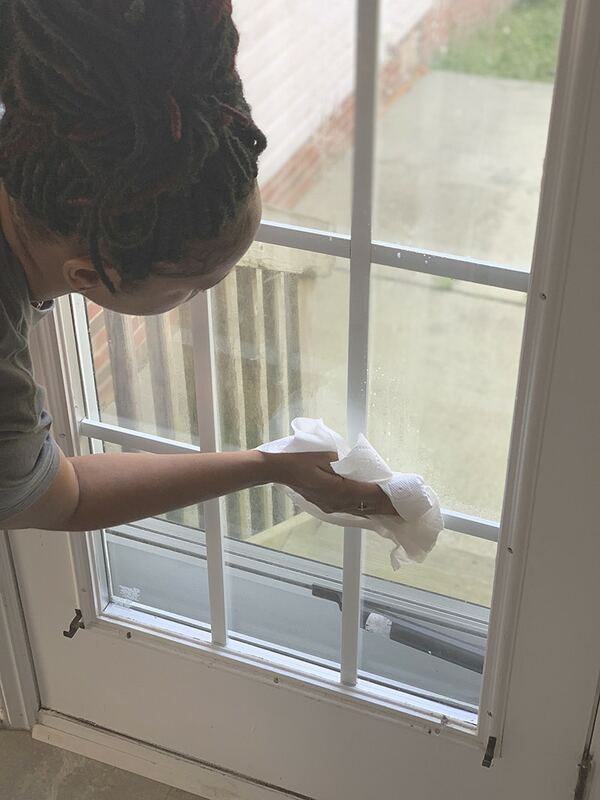 Use a squeegee, or straight edge of a sturdy object like a credit card to remove air bubbles, working from the middle out to the edges of the glass. Trim any excess if needed. I am totally in love with the new look of my doors. I feel like it looks more modern and less bulky. What do you think?  This post is a part of the at Home DIY project. 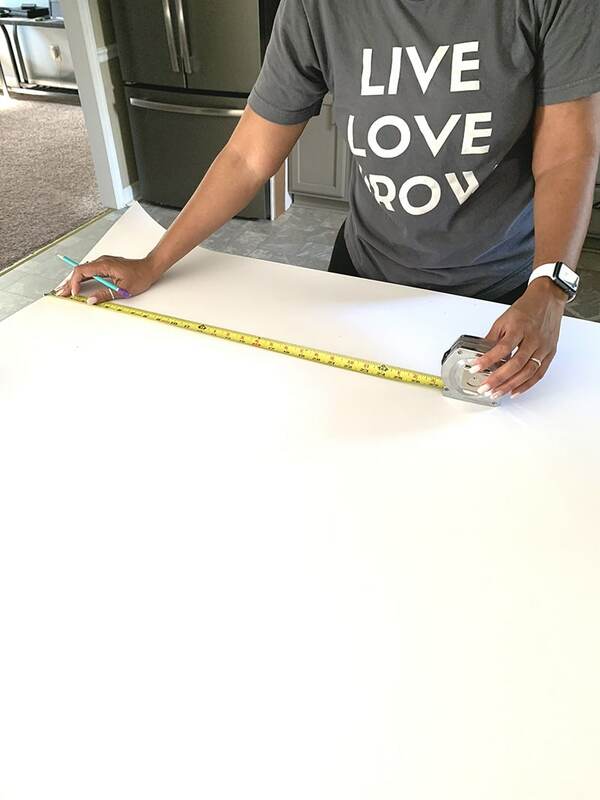 Nice simple DIY – and I love your results! Thanks for sharing. Love this project! Super smart! But if I’m being honest, I’m really just here to comment that I need that t-shirt. It’s so cute! Love this idea! Such an effective way to add privacy to a door and/or window. Love it! What a great idea! And so simple for privacy. Thanks for sharing the full tutorial. I love visiting your log for so many fun ideas. Love this idea of adding privacy to a window but still allowing light in plus it only takes 30 minutes. Thanks for sharing!! What a great idea to add some privacy without blocking all the light! I need alllll the LIGHT! Great Idea! And to have the light still coming through is what makes this perfect!